Digital Instrument Cluster, PAS, Rear wiper, Service indicator, Trip computer, Windscreen heating, Radio/CD, Door mirrors electrically foldable, Electric door mirrors, Front fog lights, LED 3rd brake light, Roof rails, 2 zone climate control, Climate control, Folding rear seats, Front armrest, Front electric windows, Front head restraints, Height adjustable drivers seat, Lumbar support, Rear armrest, Rear electric windows, Rear headrests, Steering wheel rake adjustment, Steering wheel reach adjustment, Metallic Paint, 3x3 point rear seat belts, ABS, Drivers airbag, Passenger airbag, Side airbags , Traction control, Alarm, Immobiliser, Remote central locking, Leather seat trim, Alloy wheels, ALL DEBIT/CREDIT CARDS WELCOME, 6 MONTHS PARTS AND LABOUR GOLD WARRANTY INCLUDED,OPEN 7 DAYS A WEEK,EVENING VIEWINGS AVAILABLE BY APPOINTMENT, DOOR TO DOOR DELIVERY SERVICE IS AVAILABLE TO MOST DESTINATIONS IN THE UK PLEASE RING WITH YOUR POST CODE. 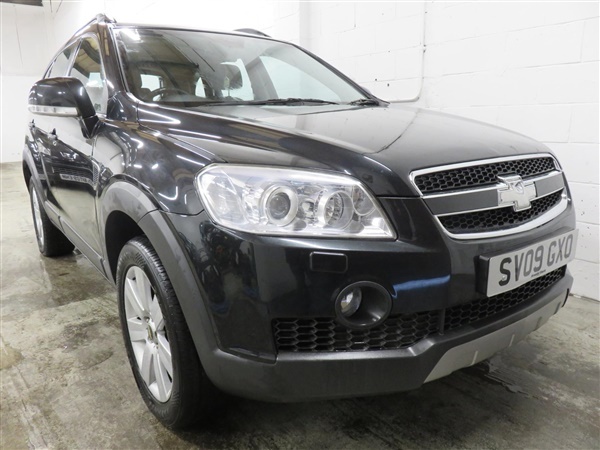 This advert is for a Chevrolet Captiva, click Chevrolet Captiva in Nelson to see more cars like this in the local area. Want to search further afield? Click Chevrolet Captiva in Lancashire - Greater Manchester to search for similar cars in the wider Lancashire - Greater Manchester area.